Winery/Producer: Domaine Bastide Blanche; Le Castellet, France. 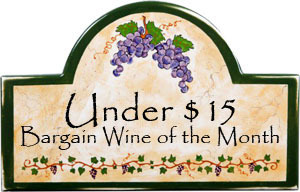 Grape Variety: Rosé Blend: Mourvedre (a minimum of 75%), Grenache and Cinsault. 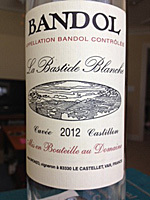 Geographic Origin: Bandol, Provence, France. Purchased From: The Caviste, Winston-Salem, North Carolina. He said: Very pale salmon color. A strong aroma of ripe red berries (particularly strawberry) and watermelon. Than a wonderful surprise…intense crisp fruit taste that goes on through a dry medium-long finish that has hints of minerals. A very refreshing Rosé with Maytag White Cheddar cheese. Actually, it’s outstanding with or without the cheese!!! She said: Absolutely delicious!!! Smells and tastes like a fine wine with subtle flavor and smoothness. 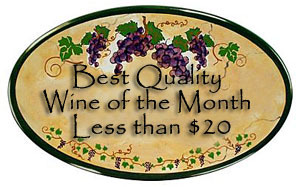 Full-medium bodied and dry, it ends with a long pleasing finish. Your are in for a treat with this wonderful rose. Guest taster: Nancy from Annapolis. With its light color my expectations were not high but my first taste proved me wrong. The great bouquet promised more and did not disappoint. From the bouquet to the finish it was consistent and delicious.